February 17, 2019 at 9:08 am. 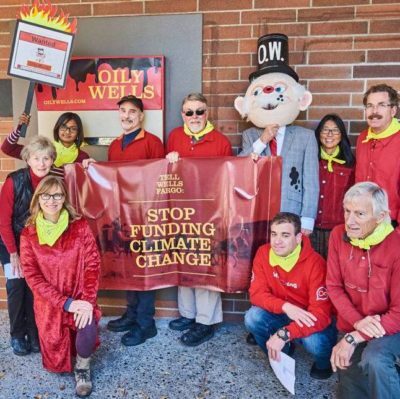 Join the March for Fossil Fuel Freedom, ending with a rally and nonviolent direct action at the San Francisco headquarters of Big Oil’s favorite banker, Oily Wells (Fargo). The direct action will be the conclusion of a three-day, 34-mile march from Palo Alto to San Francisco. 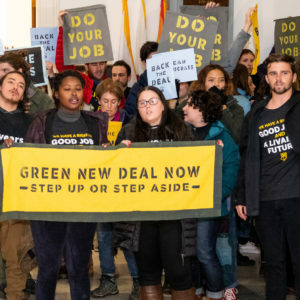 The direct action will underscore the seriousness of the climate crisis and the strength of our resolve to combat it. March will start in Palo Alto, at PF Chang’s parking lot, in the Stanford Shopping Center, corner of El Camino Real and Quarry Road. The march continues north on El Camino until it becomes Mission Street in South San Francisco, and continues straight into downtown San Francisco. with overnight stays in Burlingame and San Francisco’s Excelsior District. The March for Fossil Fuel Freedom is hosted by 350 Silicon Valley and cosponsored by the Sierra Club, Sunflower Alliance, Service Employees International Union Local 1021, 350 Bay Area, Idle No More SF, and more.